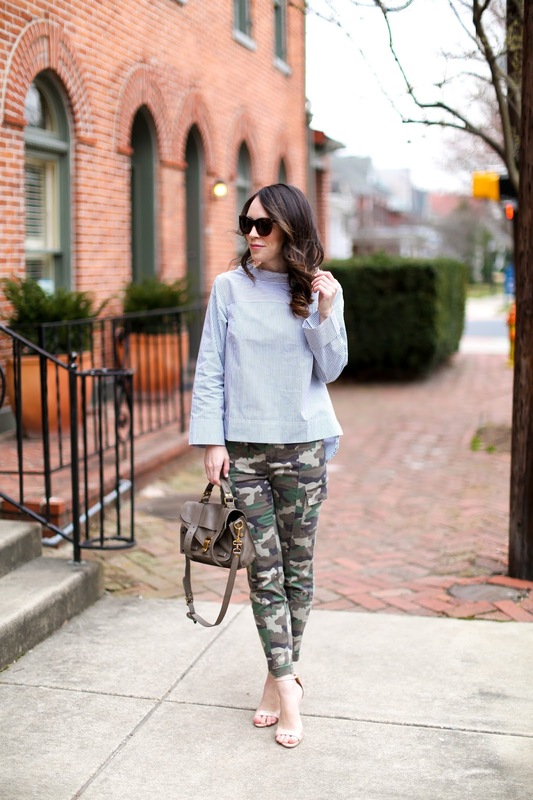 I'm back with more camo print. I mentioned before that it was growing on me again and it still has my attention! 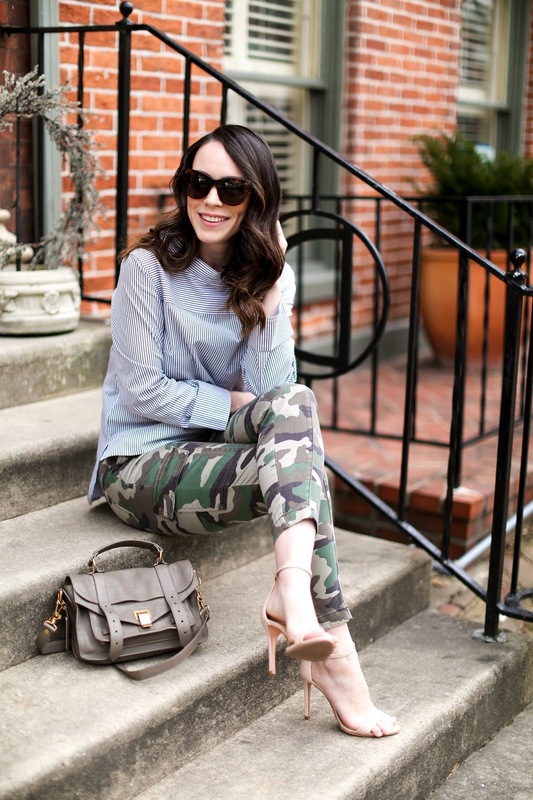 (See other camo outfits I've worn here, here, here and here) These skinny pants from J.Crew seemed a bit dressier which is why I wore them with a strappy high heel though I can see them also worn with a pair of slides and a tee (these are my favorite) for summer. And the fact that they actually fall above my ankle is even better! 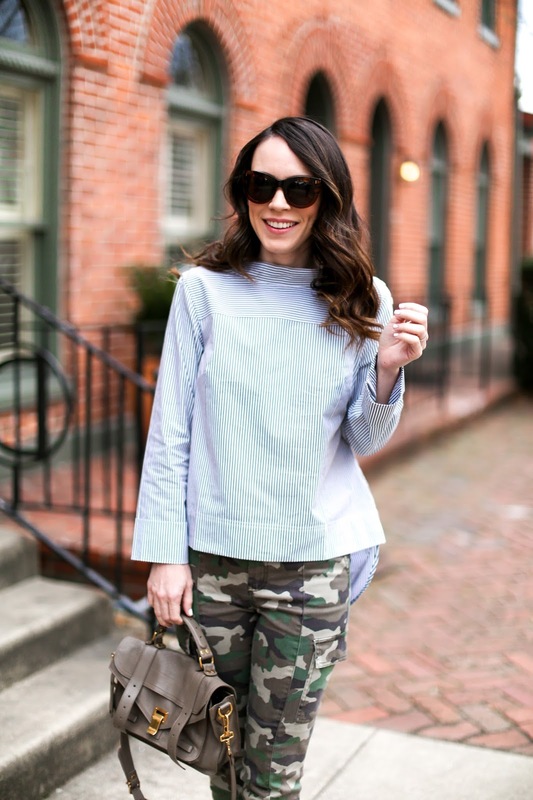 I constantly struggle with trying to find pants/jeans with shorter inseams and J.Crew always seems to work since they have varying sizes for regular, petite and tall frames. Their pants are sometimes not the best fit for my body type, but if I find a style that works for me I appreciate that I can buy them in a petite length. 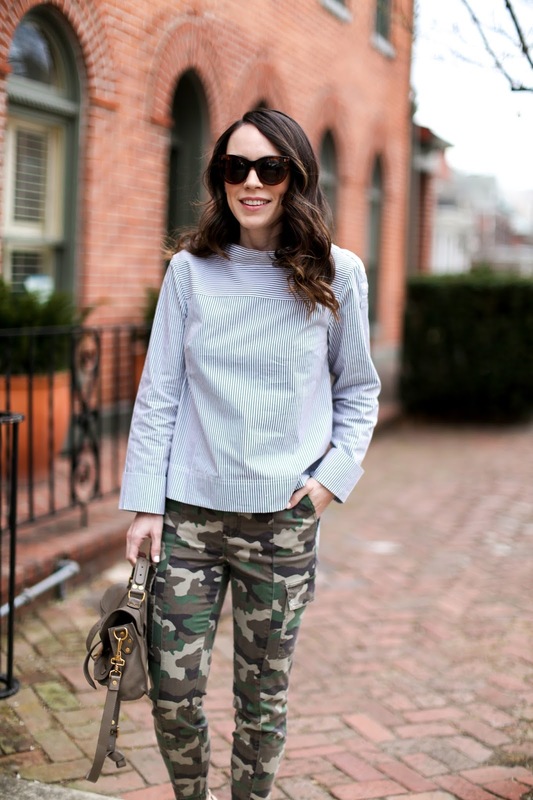 If this exact style of pants is not your fave, I did find quite a varied amount of camo pants at all price points, colors and styles from different brands. In addition to the ones I put in the widget below, Express seems to have the camo market cornered. 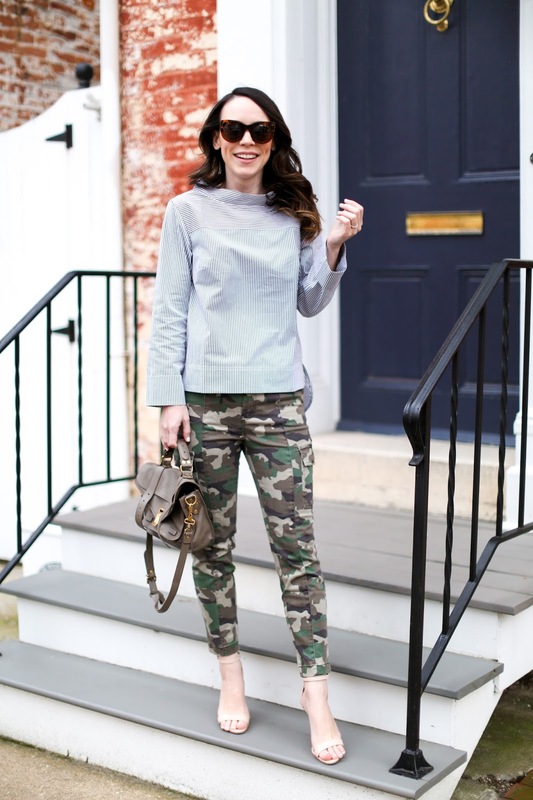 LOL These pants are a classic style and fit, I recently purchased this embellished camo sweatshirt, I adore this camo romper, this camo tee is a great casual piece and I would wear the heck outta this camo mini!